S Abbas, a mobile repair shop owner from Chennai was just eight years old when his widowed mother S Samdhani Begum left their home to attend former Prime Minister Rajiv Gandhi’s public meeting in Sriperambadur. Back in 1991, she was devoted to the Congress party and drowned out any opposition from her family who opposed her travelling so far alone. Samdhani was the district president of South Chennai for the Mahila Congress and she had promised her five boys that she will be back the next morning. But when the boys heard about their mother, it was through a news channel the next morning. Samdhani was amongst the 13 people killed in the plot to assassinate Rajiv Gandhi. “All we received of my mother were pieces wrapped in a blood-stained blanket,” says Abbas, his voice cracking. “The attack on Rajiv Gandhi, orphaned me and my siblings. 12 other families suffered because of it. But politicians don’t seem to consider the trauma we have been through. They want to release the murderers for their own political gains and we all condemn this,” he adds. And this anger doesn’t stop at words. 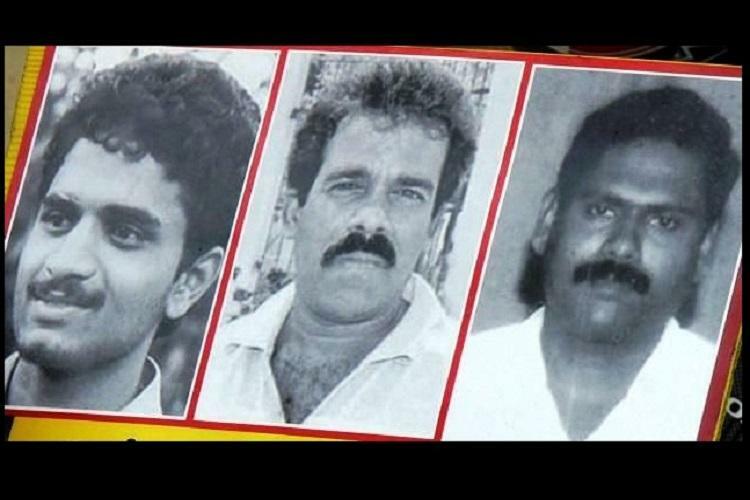 The Forum for Those Who Made Ultimate Sacrifice on 21 May, 1991, comprising the family members of those who were killed have written to Governor Banwarilal Purohit seeking an appointment. The forum has further urged the Governor to not give consent to the release of the seven convicts who are behind bars in this case. This as the Supreme Court recently directed Governor Banwarilal Purohit to take a decision regarding the imprisonment of the seven convicts. Article 161 of the Constitution gives the Governor the power to pardon an offence or suspend the sentence of a convicted individual. Last week, an official from the Home Ministry had pointed out that the assassination cannot be viewed in isolation. He had said that the death of 13 others who were present on the stage also had to be considered. The official further added that Centre will have to be consulted before the Governor takes a call. But on Saturday, Purohit clarified that no reference has been made to the Ministry of Home Affairs in the matter. He further added that the files regarding the case had arrived at his office only on Friday. On September 9, in a Cabinet meeting of state ministers, Chief Minister Edappadi Palaniswami decided to recommend the release of Perarivalan, Murugan, Santhan, Nalini, Robert Pious, Jayakumar and Ravichandran. “We can’t describe in words, the kind of suffering we went through following my father’s death,” says Rajkumar, the son of Dharman, a constable who had been present at the venue. “Yes, they have been in jail for 27 years. But we have been without a father for as many years. Our family was shattered. My mother had to become a daily wage worker to provide us with food,” he recalls. The families allege that a wrong notion was being spread about what the people of Tamil Nadu want. “Yes, Rajiv Gandhi’s family may have forgiven the convicts. But what about the rest of us? Do our words not hold the same value?” asks Abbas. “The people of Tamil Nadu have no interest in the release of these criminals. Only certain political parties are trying to earn brownie points. While people were fighting for the release of the murderers, the 12 families were struggling to even survive,” he adds. Former Madras High Court Justice K Chandru, however, says the families’ representation to the Governor will not have influence on the final decision. “The Governor will have to go by the recommendations of the elected government irrespective of whether it is politically motivated. The cabinet may have failed in taking into account the emotions of these families but that doesn’t make their stand weaker,” he says. “The maximum the families can do now is approach the Supreme Court if they oppose the Governor’s decision. And even that cannot be based on any form of emotion, it will have to be proven why they believe the decision does not hold water,” Justice Chandru argues.